Love, peace humanity brotherhood are the basic tenets of humanity. Our society needs to be taught there basic trends for peaceful coexistence and prosperity of society and nation. Hazaribag district is full of nature and it has got mixture of all communities/religions. I express my best wishes for the citizens of Hazaribag district and wish for their prosperity and all round development of the district. Development and prosperity depends on peace and smooth law and order situation of the district. I appeal to each and every citizen to keep a watch on bad elements moving in our own mohalla/Locality. It is our duty to the nation and constitution also that we should be law abiding and should keep a watch on any bad activity happening/taking place any where and also to inform the police for taking action against these elements. Watching a crime occurring and keeping silence is also a crime. I request every citizen to come forward against crime and extremism. Situated in the north east part of North Chotanagpur Division, Hazaribagh is an ideal venue where one can find a blend of nature’s glory and a heritage of glorious past of Indian tradition. Meaning a thousand gardens, Hazaribag is a famous health hill resort situated at a height of 2,019 ft. above sea level. It has an excellent climate and beautiful scenery all around it in the midst of dense forest. The boundary of this district consists of districts of Gaya and Koderma in the north, Giridih and Bokaro in the east, Ramgarh in the south and Palamu and Chatra in the west. The entire territory of Chhotanagpur, known as Jharkhand (meaning forest territory) was presumably beyond the reach of the Hindu influence in ancient India. Throughout the Turko-Afghan period (up to 1526), the area remained virtually free from external influence. It was only with the accession of Akbar to the throne of Delhi in 1556, that Muslim influence penetrated Jharkhand, then known to the Mughals as Kokrah. In 1585, Akbar sent a force under the command of Shahbaj Khan to reduce the Raja of Chotanagpur to the position of a tributary. After the death of Akbar in 1605, the area presumably regained its independence. This necessitated an expedition in 1616 by Ibrahim Khan Fateh Jang, the Governor of Bihar and brother of Queen Noorjehan. Ibrahim Khan defeated and captured Durjan Sal, the 46th Raja of Chotanagpur. He was imprisoned for 12 years but was later released and reinstated on the throne after he had shown his ability in distinguishing a real diamond from a fake one. In 1632 Chotanagpur was given as Jagir to the Governor at Patna for an annual payment of Rs. 136000. This was raised to Rs. 161000 in 1636 A.D. During the reign of Muhammad Shah (1719-1748), Sarballand Khan, the Governor of then Bihar, marched against the Raja of Chotanagpur and obtained his submission. Another expedition was led by Fakhruddoula, the Governor of Bihar in 1731. He came to terms with the Raja of Chotanagpur. In 1735 Alivardi Khan had some difficulty in enforcing the payment of the annual tribute of Rs. 12000 from the Raja of Ramgarh, as agreed to by the latter according to the terms settled with Fakhruddoula. This situation continued until the occupation of the country by the British. During the Muslim period, the main estates in the district were Ramgarh, Kunda, Chai and Kharagdiha. Subsequent to the Kol uprising in 1831 which, however, did not seriously affect Hazaribag, the administrative structure of the territory was changed. 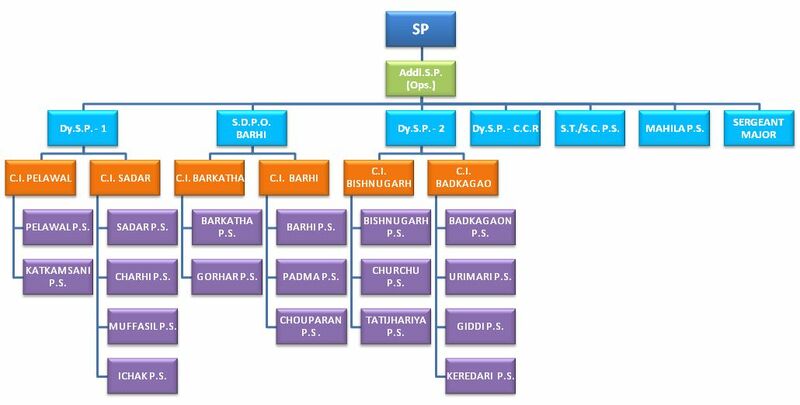 The paraganas Ramgarh, Kharagdiha, Kendi and Kunda became parts of the South-West Frontier Agency and were formed into a division named Hazaribag as the administrative headquarters. In 1854 the designation of South-West Frontier Agency was changed to Chhota Nagpur and it began to be administered as a Non-regulation province under the Lieutenant Governor of the then Bihar. In 1855-56 there was the great uprising of the Santhals against the British but was brutally suppressed. After 1991 census, the district of Hazaribag has been divided into three separate districts viz. Hazaribag, Chatra and Koderma. 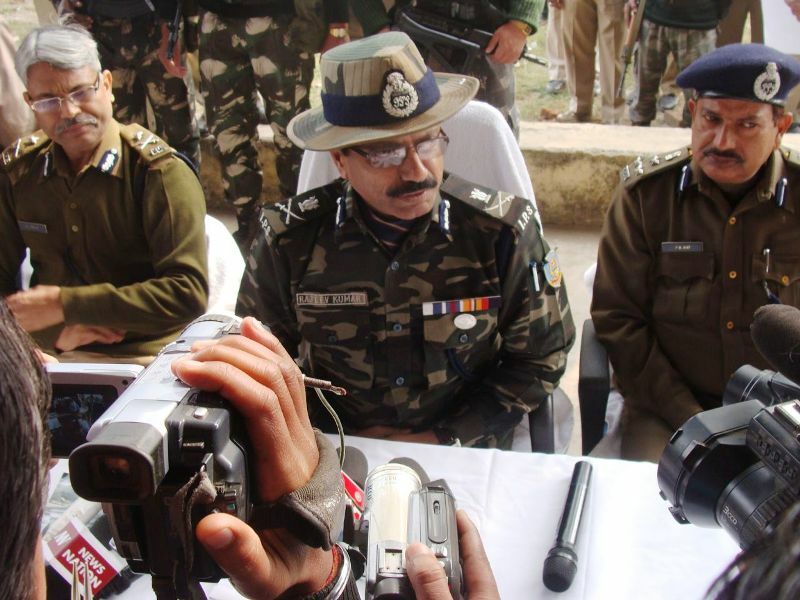 The two sub-divisions namely Chatra and Koderma were upgraded to the status of independent districts. Later in 2007, the sub-division of Ramgarh was also upgraded to the status of independent district. 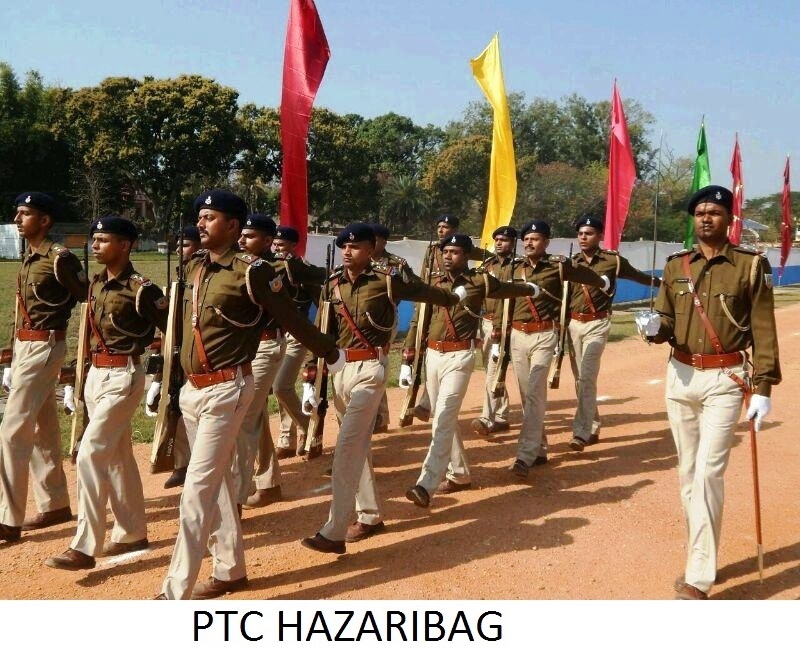 The Hazaribagh district has got 17 Police Station/OPs out of which 14 Police stations/O.P are badly affected by naxal activities. The present situation of naxal problem is very much under control still scattered incidents of naxal violence are often reported. 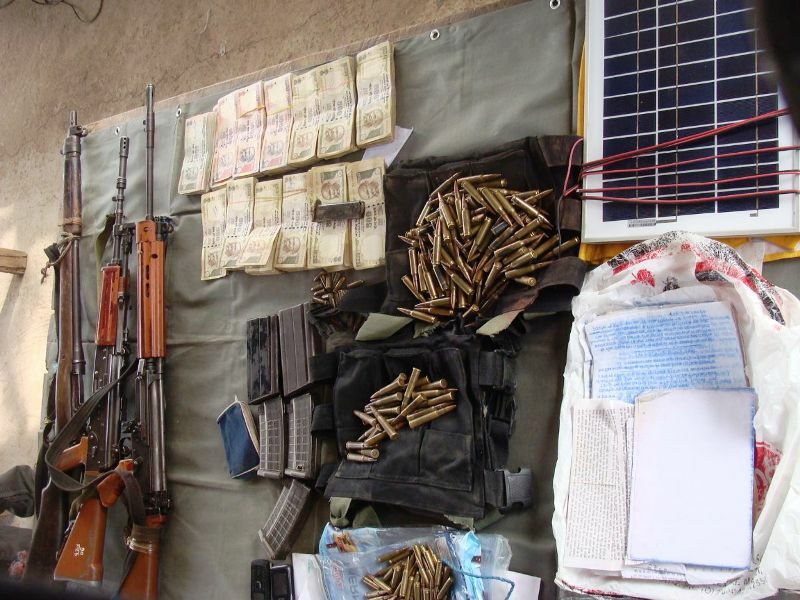 The naxal have got reverses at many instance in this district and suffered huge loss in man Power and weapons also. 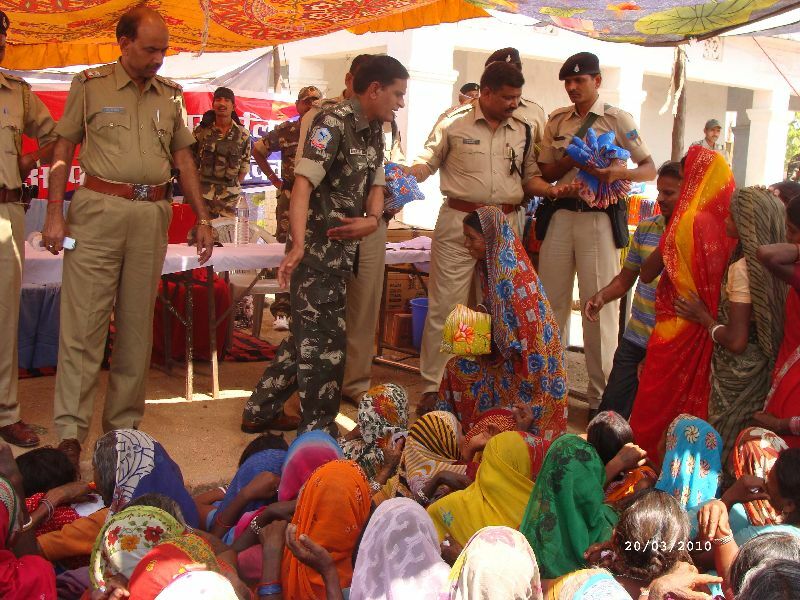 Large scale desertion has taken place in naxal groups in recent past. 25(1-B)A/26/35 Arms Act. 1.Saurav Kumar Sonu. 25(1-B) A/26/35 Arms Act. 1. Umesh Das @ Umesh Pandey @ Umesh Giri. 10 Katkamsandi PS Case No-37/17, dated-02.03.2017, U/S- 25(1-b)(a)/25(1-aa)26/35 Arms Act. 32 Sadar PS Case No-690/17, dated 26.09.2017, U/S-385/387/120(b) IPC & 25(1-a)b/26/35 Arms Act. 1. Chunmun Mishra @ Parmarthi Mishra. 35 Arms Act. 1. Chunmun Mishra @ Parmarthi Mishra. 3 Ichak PS Case No.-23/16,Dated-20.01.16,U/S- 4/5 Explosive Substances Act. 1.Pankaj Kumar Mehta,S/O-Chhoti Mehta@Tuklal Mehta,Vill-Bigha Phulwariya,PS-Nawalsahi, District-Koderma. 2.Mukesh Kr. Mehta,S/O-Chhotelal Mehta,Vill-Bigha Phulwariya,PS-Nawalsahi,District-Koderma. 17 Ichak PS Case No-62/16, dated 08.04.16, U/S-4/5 Explosive Substance Act. 1. Ashish Kr. Mehta, S/O- Dilchand Mehta, Vill-Barkakhurd, PS-Ichak, District-Hazaribagh. 19 Sadar PS Case No.-375/16, dated 19.04.16, U/S-120(b)/34 IPC & 3/4/5 Explosive Substance Act. Vikey Khan. -- -- -- -- 1. Small parted piece of Iron and Glass. U/S- 4/5 Explosive Substances Act. -- -- -- -- -- Ammonium Nitrate-150 Kg. U/S-452/341/ 323/324/307/ 379/504/506/120(b) IPC & 25(1-b)/26/35 Arms Act. 1. Manoj Mandal, S/O-Ramchandra Mandal, Vill-Keshwari, PS-Sariya, District-Giridih. 23 Barhi PS Case No.-116/16, dated 07.05.16, U/S- 3/4 Explosive Act. -- -- -- -- -- Ammonium Nitrate- 50 Kg. U/S- 25 (1-b)a/26/35 Arms Act. 1. Chiranjeevi Ojha @ Pahalwan. U/S- 25 (1-b)a/26/35 Arms Act. 1. Raseed Quraishi. 34 Katkamsandi (Pelawal) PS Case No-114/16, dated 29.07.16, U/S-386/387/34 IPC & 25(1-b)a/26/35 Arms Act. 42 Bishnugarh PS Case No-154/16, dated 27.10.16, U/S-414/34 IPC & 3/4/5 Explosive Substances Act. 1.Ram Prasad -- -- -- -- 1. Gelatin rod-2305 Pieces. S/O-Lt. Somar Ganjhu, Vill-Bakchoma, PS-Keredari, District-Hazaribagh. 2 Ichak P.S Case No-23/15, Dated-06.02.15, U/S-25(1-B)A/26 Arms Act. U/S-25(1-b)a/26/35 Arms Act 1. Md. Muzaffar Ali, S/O-Mustkim Miyan,Vill-Chepa Khurd, PS-Barkagaon, Distt-Hazaribagh. 2. Md. Manzoor Hussain, S/O-Manzoor Hussain,Vill-Sikri, PS-Barkagaon, Distt-Hazaribagh. Dated - 07.04.15, U/S- 4/5 Explosive Act. 1. Surendra Prasad Mehta, S/O- Tejnarayan Mahto, Vill-Dumraun , PS-Ichak, Distt- Hazaribagh. Dated - 21.05.15, U/S- 4/5 Explosive Act. 14 Gorhar PS Case No-23/15, Dated 25.06.15, U/S 25(1-b)a/26/35 Arms Act. 1. Karu Kumar, S/O-Bhuneshwar Mahto, Vill-Atkadih, PS-Bagodar, District-Giridih. Dated - 10.08.15, U/S-414/34 IPC U/S- 25(1-b)/26/35 Arms Act. 1.Ramvilash Sao @ Tibhar, S/O-Baiju @ Baijnath Sao, Vill-Pesar Chappa Mishraul Chowk, PS-Tandwa, District-Chatra. U/S- 25(1-b)a/26/35 Arms Act. 1. Motilal Manjhi, S/O-Chopa Manjhi, Vill-Dadighaghar, PS-Ichak, District-Hazaribagh. 2. 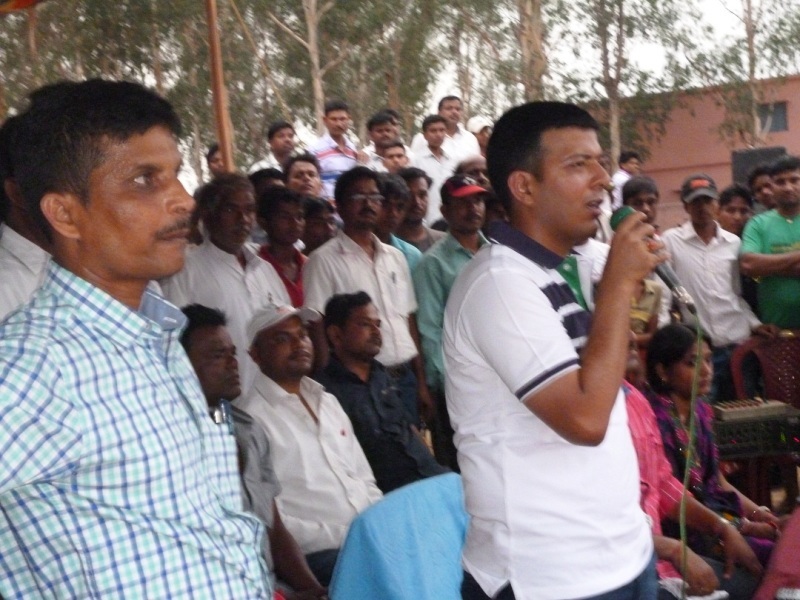 Ravi Manjhi, S/O-Lt. Dhena Manjhi, Vill-Dadighaghar, PS-Ichak, District-Hazaribagh. 30 Sadar (Muffasil) PS Case No-1218/15, Dated-15.10.15, U/S-399/402 IPC & 25(1-b)a/26/ 35 Arms Act. 1. Vikash Kr. Sharma, S/O-Rohan Vishwakarma, Vill-Nawadih, PS-Imamganj, District-Gaya. 2. Dileep Ganjhu, S/O-Lt. Nageshwar Ganjhu, Vill-Ariyadih, PS-Lawalaung, District-Chatra. 31 Sadar (Muffasil) PS Case No-1220/15, Dated-16.10.15, U/S-25(1-b)a/26/35 Arms Act. 1. Bhuneshwar Mahto, S/O-Lt. Tapeshwar Mahto @ Tapan Mahto, Vill-Oderna, PS-Katkamdag, District- Hazaribagh. 2. Pradeep Mahto @ Charku Mahto, S/O-Ghutali Mahto, Vill-Kisto Bilari, PS-Piparwar, Distirct- Chatra. 3. Jugeshwar Mahto, S/O-Bigan Mahto, Vill-Salga, PS-Keredari, District- Hazaribagh. U/S-379 IPC, 4/5 Explosive Substance Act, 33(i)a/33(i)b/33(i)c IFS and 27/29 Wild life Protection Act. -- -- -- 1. Ammonium Nitrate-100 kg. 6 Barhi PS Case No.-60/14, Dt.-08.03.14, U/s-25(1-b)a/26/35 Arms Act. 4(1)/5(1) Explosive Act. 1. 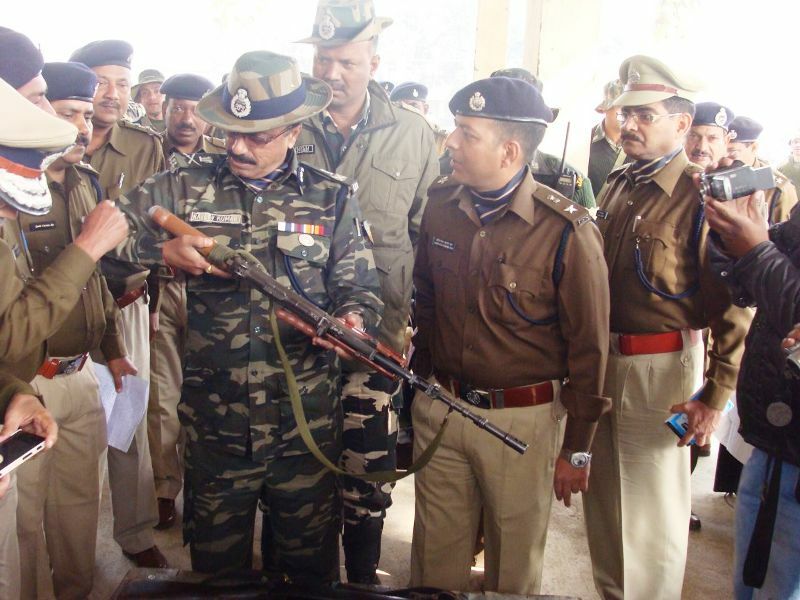 Nitish Kumar @ Manish Kumar @Suraj , S/O- Umashankar Prasad, Vill.-Firojpur, Bhirachi, PS-Hilsa, Dist.-Nalanda -- Country Made Pistol-04 Gelatin Wire Detonator -05 .315 Bore Cartridge - 05 Mobile , Watch etc. 19 Bishnugarh P.S Case No-123/14, Dated-15.12.14, U/S- 25(1-b) a/ 26/35 Arms Act. 1.Ganesh Kr,S/O-Lt Ramprasad,At-Badam Bazar,P.S.-Sadar,Distt.-Hazaribag. 2. Raju Kr. Rana, S/O- Tarkeshwar Rana, Both are Vill.- Mahugain. P.S.-Barkagaon, Distt.- Hazaribag -- Desi Catta-02 -- -- Making of Catta instrument. 10 Charhi P.S., Case No.-07/12, Date-09.02.12, U/S-25(1-b)a/26/35 Arms Act. 1. Prameshwar Mahtha@ Jitendra, S/O- Prem Lal Mahtha, Vill-Kumhardaga,(Barka Jara Tola), P.S- Gola, distt-Ramgarh. 15 Bishnugarh PS case no. 60/12, dt. 02.05.12, u/s.-395/397 IPC -- -- -- -- -- Cash and Two Mobile with SIM. 28 Katkamsandi P.S., Case No.-228/12, Dated-25.11.12, U/S-399/402/ I.P.C. 25(1-b)a/26/35 arms Act. 1. Arun Ganjhu@Natho Ganjhu@Ramawatar Ganjhu, S/O- Lali Ganjhu, Vill.-Chorgadha, PS- Simaria. 12 Keredari PS, Case No.-29/11, Dated 11.06.11, U/S - 379/411/34 I.P.C. 1. Sonu Alam, S/O- Jamil Ahmad, Vill- Kamta, P.S.-Tandwa, Chatra. 20 Sadar PS Case No. 93/11. Dated 09.02.11 U/S-379 I.P.C. -- -- -- -- -- JG02D/9074 Motorcycle recovered. 25 Sadar PS Case No. 438/11. Dated 17.07.1 1 U/S- 399/402 I.P.C, 3/4 Ex. Act. 25(1-b)(a)/ 26/35 Arms Act. 1.Uday Pd. Kushwaha@ Dara, S/O- Narayan Pd. 27 Sadar PS Case No. 507/11. Dated 17.08.11 U/S-379 I.P.C. -- -- -- -- -- JH01N- 9871 Motorcycle Recovered. 28 Sadar PS Case No. 518/11, Dated 24.08.11 U/S -379 I.P.C. -- -- -- -- -- JH02C -5629 Motorcycle Recovered. 2. Md. Danish Khan @ Chotu,S/O-Lt. Wasir Khan,Vill.-Fahima, Paginal School Near, PS.- Sadar, Dist. -HZB. -- -- -- -- JH02E- 0245 Motorcycle Recovered. 30 Sadar PS Case No. 544/11. Dated 03.09.11 U/S -379 I.P.C. -- -- -- -- -- JH02Q-3385 Motorcycle Recovered. 32 Sadar PS Case No. 588/11. Dated 24.09.11 U/S-379 I.P.C. -- -- -- -- -- JH02P-4982 Motorcycle Recovered. 33 Sadar PS Case No. 734/11. Dated 15.12.11 U/S -379 I.P.C. -- -- -- -- -- JH02A-1770 Motorcycle Recovered. Remanded -- -- -- -- Truck Recovered. 2. Santosh Kr. Singh, S/O-Bagat Singh, Vill.- Itwa Gath, Bishnugarh. 3. Krishana Singh,S/O-Bishnu singh, Vill- sulmi, PS-Katkamsandi. 5. Ranjeet Kr. SinghBoth S/O- Bashudeo Singh. Vill-Dumardih, PS.-Barhi, HZB. 2.Rajander paswan, S/O- Dabke Paswan, Vill- Dahner. 2.Vinod Bhuinya, S/O- Manva Bhuinya Both Vill-Sosh. PS- Simariya, Distt.- Chatra. 1. Khemlal Ganjhu @ Khelo, S/O-Amrit Ganjhu, Vill-Haram, PS-Katkamdag, District-Hazaribagh. 1. Chhoti Kumar Yadav @ Sandeep Kumar Yadav, S/O-Damodar Yadav, Vill-Bhaipur, PS-Simariya, Dist-Chatra. 3. Sanjay Kumar,Yadav, S/O-Damodar Yadav, Vill-Bhaipur, PS-Simariya, Dist-Chatra. 1. Mukesh Kumar, S/O-Late Mathura Prasad, Vill-Kajri, PS-Charhi, District-Hazaribagh. 1. Manoj Mahto @ Manoj Kumar, S/O-Viru Mahto, Vill-Chhotki Tundi, PS-Kujju, District-Ramgarh. 2. Receipt of JPC Organization. 1. Sunil Minz, S/O-Late Nikouddin Minz, Vill-Hurunda, PS-Palkot, District-Gumla. 2. Amitabh Kumar @ Umi Chaudhary, S/O-Dwarika Pasi, Vill-Barkagaon, PS-Barkagaon, District-Hazaribagh. 1.Ranjeet Kumar Kushwaha, S/O-Bharat Mehta, Vill-Id, PS-Simariya, District-Chatra. 3. Uniform of TPC-01 Set. 1. Manoj Kumar Verman, S/O-Lakhan Prasad Verman, Vill-Kasera Muhalla, PS-Bishnugarh, District-Hazaribagh. 1. Md. Asirullah Ansari @ Maulana, S/O-Sankur Ansari, Vill-Dadikala, PS-Barkagaon, District-Hazaribagh. 1. Shankar Ram, S/O-Ishwari Ram, Vill-Bonasandi, PS-Simariya, District-Chatra. 1.Arun Mandal @ Arun Jee @ Ranjeet, Vill-Sonbandh, PS-Bengabad, District-Giridih. -- Country Made Katta -01 -- 8 mm Cartridge-02 1. Cash Rs-16,000 only. 1. Soren Jee @ Rahul Ganjhu, S/O- Prasad Ganjhu, Vill- Kochi, PS- Lawalaung, District- Chatra. 2. Nitesh Ganjhu @ Santosh Ganjhu, S/O- Dashrath Ganjhu, Vill-Tatihitanr, PS-Kunda, District-Chatra. Arun Mandal @ Arun Jee @ Ranjeet, Vill-Sonbandh, PS-Bengabad, District-Giridih. -- Country Made Katta -01 -- 8 mm Cartridge-02 1. Cash Rs-16,000 only. 1. Soren Jee @ Rahul Ganjhu,. 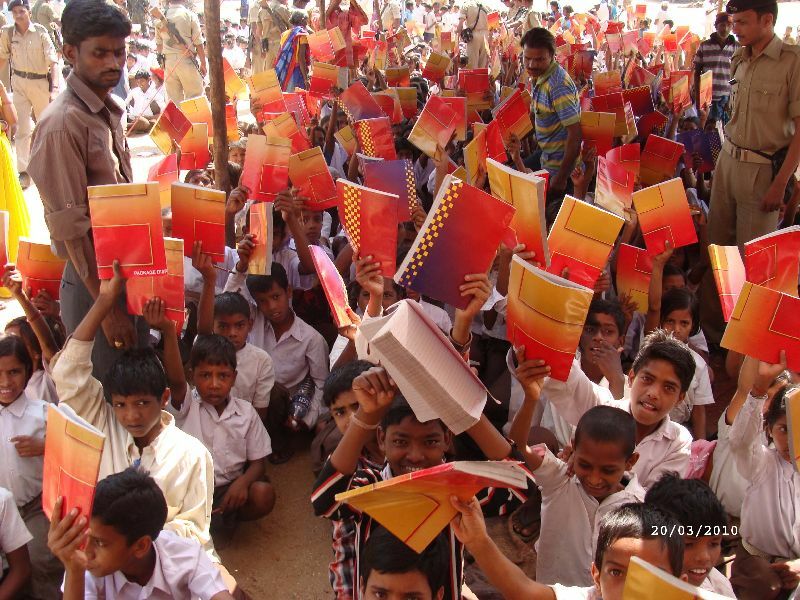 S/O- Prasad Ganjhu, Vill- Kochi, PS- Lawalaung, District- Chatra. 1. Shambhu Sao, S/O-Meghan Sao, Vill-Rewar, PS-Katkamsandi, District-Hazaribagh. 2. Nageshwar Yadav, Vill-Barikola Jhonjhi, PS-Katkamsandi, District-Hazaribagh. 47 Barkagaon (Urimari) PS Case No-160/17,dated-23.09.2017, U/S-385/387 IPC 25(1-b)a/36/35Arms Act & 17 CLA Act. Muneshwar Ganjhu, S/O- Sidhnath Ganjhu, Vill- Chelangdag, PS-Barkagaon, District- Hazaribagh. 1. Shailendra Mahto, S/O-Churaman Mahto, Vill-Khapiya, PS-Keredari, District-Hazaribagh. 2. Kamlu Mahto, S/O-Madho Mahto, Vill-Bamnai, PS-Khalari, District-Ranchi. 1. Jugeshwar Mahto, S/O-Bigan Mahto, Vill- Baherwatari (Salga), PS-Keredari, District-Hazaribagh. 1. Deepak Singh Bhokta @ Deeepak Jee@ Latan @ Kuldeep Singh Bhokta, S/O_Bhula Singh Bhokta, Vill-Sarkaja, PS-Katkamsandi, Hazaribagh. 2. Naresh Singh Bhokta, S/O-Bandhan Ganjhu, Vill-Telaiya, PS-Gidhaur, District-Chatra. 3. 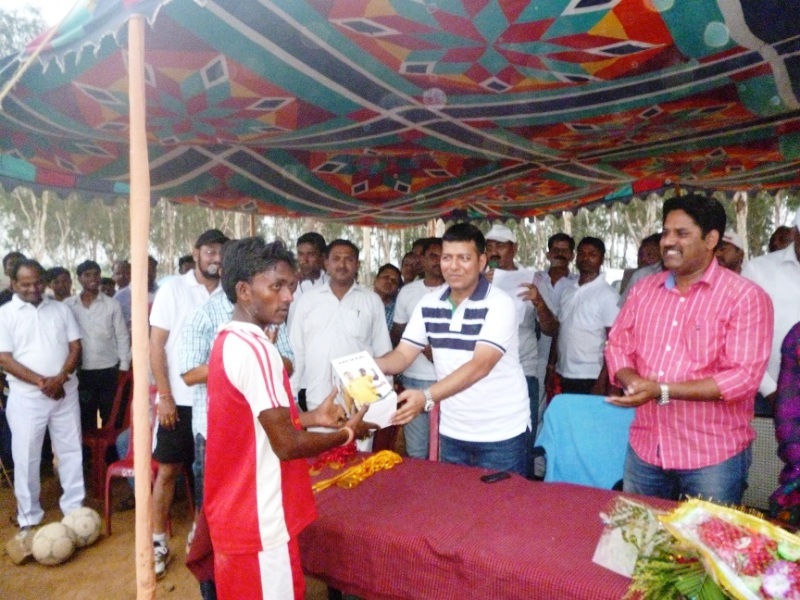 Kishun Kujur, S/O-Ram Oraon, Vill- Dibalbandh, PS-Katkamsandi, Hazaribagh. 1. Amit Munda @ Bhakhra Munda, S/O-Nago Munda, Vill-Jordag, PS-Keredari.Dist-Hazaribagh. 2. Biga Paswan, S/O-Jageshwar Paswan, Vill-Jordag, PS-Keredari, Dist-Hazaribagh. 2 Katkamdag PS Case No-08/16, Dated-15.01.16, U/S-414/385/387 IPC & 17 CLA Act. 1.PLFI Extremist Sub-Zonal Commander Sanjay Jee @ Bhaskar Jee, S/O-Yugeshwar Sao,Vill-Napokhurd,PS-Barkagaon, District-Hazaribagh. 2. Amresh Kumar Rana, S/O-Lutan Rana, Vill-Sheregarha, PS-Balumath, District-Latehar. Vill-Thakur Muhalla, PS- Barkagaon, District-Hazaribagh. 10 Katkamdag PS, Case No-29-/16, Dated 18.02.16, U/S-385/387 IPC,25(1-a), 25(1-aa)/35 Arms Act&17 CLA Act. 1.Pursottam Ganjhu @ Basant Ganjhu, S/O-Dhanu Ganjhu, Vill-Bundu,PS-Keredari, District-Hazaribagh. 1. Vikash Yadav @ Vickey, S/O-Subhash Yadav, Vill-Rewar, PS-Muffasil, District-Hazaribagh. 2. Chhotelal Ram, S/O-Shyamlal Bhuiyan, Vill-Lotwa, PS-Ichak, District-Hazaribagh. 3. Bhola Ram, S/O-Lt. Basudeo Ram, Vill-Dumar Sarowani, PS-Muffasil, District-Hazaribagh. 4. Nago Gope, S/O-Lt. Gulab Gope, Vill-Chhota Gwal Toli, PS-Muffasil, District-Hazaribagh. 5. Md. Gulam Sarwar Alam, S/O-Md. Manowar Hussain, Vill-Nutan Nagar, PS-Muffaisl, District-Hazaribagh. (1-b)/26 Arms Act, 17 CLA Act and 38 UAP Act. 1. Govind Sao, S/O-Sukhdeo Sao, Vill-Napokhurd, PS-Barkagaon, District- Hazaribagh. 1. Manoj Anand @ Manoj Kumar, S/O-Tapeshwar Ram, Vill-Birhu, PS-Simariya, District- Hazaribagh. 1. Sanjay Kumar, S/O-Ritan Mahto, Vill-Donaikala, PS-Barhi (Padma OP), District-Hazaribagh. 2. Prakash Kumar Mehta, S/O-Mohan Mahto, Vill-Morangi, PS-Muffasil, District-Hazaribagh. 3. 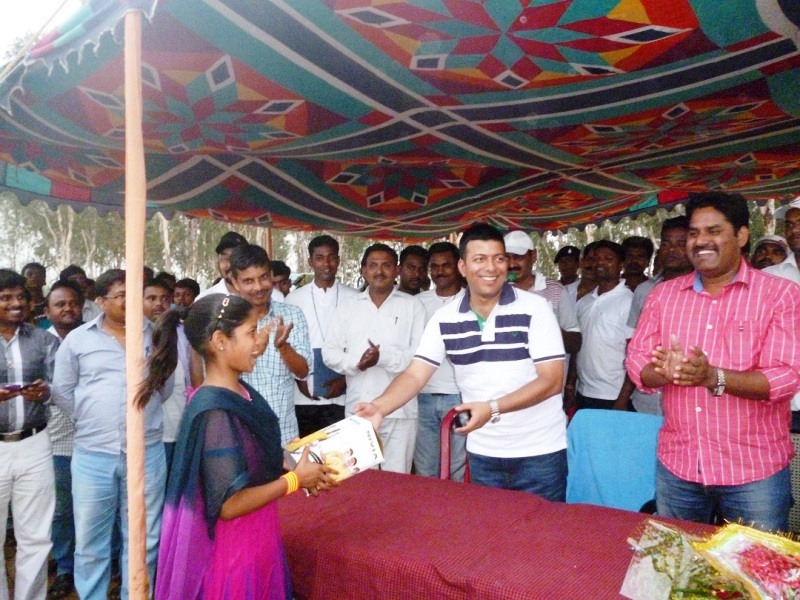 Pankaj Kumar Mehta, S/O-Basudeo Prasad Mehta, Vill-Donaikala, PS-Barhi (Padma OP), District-Hazaribagh. 1. 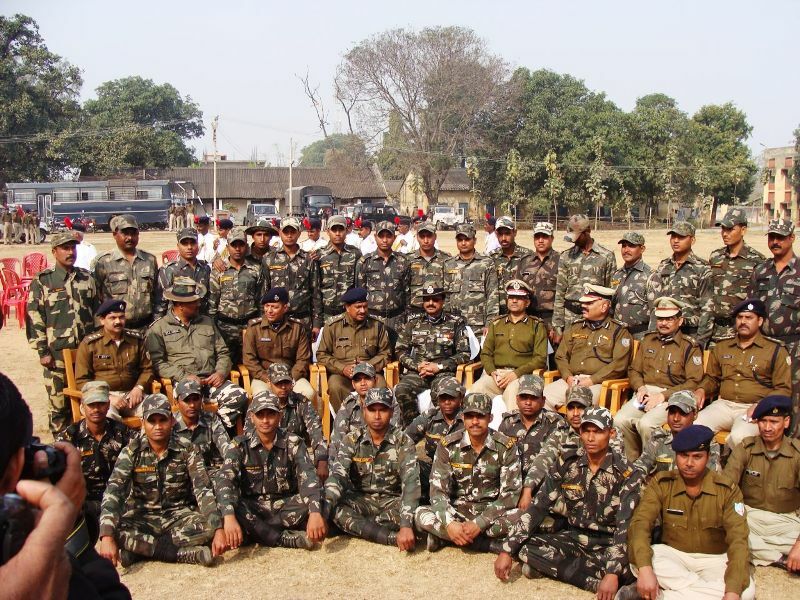 Area Commander Arun Jee @ Arun Mandal @ Ranjeet, S/O-Lato Mandal, Vill-Sonabad, PS-Bengabad, District-Giridih. 1. Sunny Chaudhary, S/O-Parmanand Chaudhary, Vill-Danto, PS-Katkamsandi, District-Hazaribagh. 2. Prabhu Dyal Singh, S/O-Kamaldeo Singh, Vill-Danto, PS-Katkamsandi, District-Hazaribagh. 25(1-b)a/25(1-aa)/26/35 Arms Act & 17 CLA Act. 1. Prakash Kumar Yadav, S/O-Cheeto Yadav, Vill-Krishna Nagar (Murgitand), PS-Katkamdag, District-Hazaribagh. 5. Receipt of JPC Organization-02 Bundles. 3. Cash 6,36,500/= Rupees and in huge amount of daily use items. 6 Katkamdag PS Case no-44/15. Dated 15.04.2015, U/S 147/148/149/307/353 IPC, 25(1-b)a/26/27/35 Arms act, 17 CLA Act and 13 UAP Act. -- -- -- -- 0.315 bore live cartridge-01 Ceiling, Pull throw and other daily use materials. 7 Charhi PS Case no-38/15. Dated 20.04.2015, U/S 414/34 IPC, 25(1-b)a/26/35 Arms act and 17 CLA Act. 1.Sameer @ Sukhdeo Ganjhu,S/O- Lt. Ruplal Ganjhu, Vill-Jehra, PS-Pathalgarha, District-Chatra. 17 Churchu PS Case no-22/15. Dated 22.06.2015, U/S-147/148/149/431/120(b) IPC, 3/4/5 Explosive Substance Act, 17 CLA Act and 10/13 UAP Act. -- -- -- -- -- 1. Electric Wire-2.5 ft.
2. Rod of Iron-1 ft.
21 Katkamdag PS Case No.-89/15, Dated 28.07.15, U/S-386 IPC, 25(1-b)a/26/35 Arms Act, 10/13/38 UAP Act 17 CLA Act. 1 Vivek Yadav @ Gyani, S/O-Lt. Nakul Yadav, Vill- Bhudhai, PS-Madhupur, District-Deoghar. 22 Ichak PS Case No.-111/15, Dated-29.07.15, U/S- 4/5 Explosive Substances Act 17 CLA Act. -- -- -- Cane Bombs-04 (Each weighs 01 kg.) -- 1. Detonator-50 Pieces. 23 Katkamsandi (Pelawal) PS Case no-129/15. Dated 02.08.15, U/S-386 IPC, 10/13/38 UAP Act 17 CLA Act. 1. Naresh Ganjhu @ Jeevan Jee @ Manoj Ganjhu,S/O-Laldhari Ganjhu, Vill- Meral, PS-Pathalgarha, District-Chatra. 2. Mithilesh Kumar @ Mithilesh Jee, S/O-Laxman Rana, Vill- Edla, PS-Katkamsandi, District-Hazaribagh. 2. Leaflet of TPC Organization. 25 Barkatha PS Case No-109/15,Dated.-03.10.2015, U/S-143/435/386/387 IPC 17 CLA Act. -- -- -- -- -- 1.Mobile-01 2.Leaflet of TPC. 1. Vijay Kr. Yadav, S/O-Nanku Yadav, Vill-Balbal Dwari, PS-Gidhaur, Dist.-Chatra. 30 Ichak PS Case No. 161/15, Dated 04.11.15, U/S-384/386/34 IPC, 3/5 Explosive Substances Act and 17 CLA Act. 1.Indradeo Turi, S/O-Bhaghat Turi,Vill-Karamtanr,PS-Ichak,Distt-Hazaribagh. 3.Laxman Turi@Jhari Turi, S/O-Bhuvneshwar Turi,Vill-Karmatanr,PS-Ichak,Distt-Hazaribagh. 01 Mobile Pump let of J.P.C. Group. 13 Bishnugarh PS Case No.- 50/14, us/- 147/148/149/121(a)/307/353/120(b)/34 IPC, 3/4 Expl. Act., 27 Arms Act., 17 CLA Act. 10/13 UAP Act. -- -- -- waste of three cane Bomb -- Three miter wire, Medicine ect. 4. Rajendra Ganjhu both are S/O-Ram Dayal Ganjhu At- Manatu, PS- Balumath, Dist-Latehar. -- 01 -- 0.315 bore live cartridge-03 Uniform and belt of J.P.C. Extremists. 2. Gita @ Kalpna @ Babita, W/O Chhotu Mahto, Vill.- Karmatand, PS- Gomia, Bokaro -- -- -- -- Motorcycle-JH02E-8852 Cash 40,000/- Thousands Only. 6 Katkamsandi (Pelawal) Case No.-l 87/11. Dated 18.09.11, U/S- 364(a)/368 I.P.C. 17 C.L.A. Act -- -- -- -- -- Kidnapped person M.N.C. Suresh was recovered. 3. Men's / Ladies wear cloths, Pocket diary, Ground sheet, Medicine etc. 16 Churchu Ps. Case No.29/11, Dated. 21.11.11, U/S- 25(l- b)a/26(3) Arms Act. 17 C.L.A Act. 1. Gulshan Ganjhu@ Govind @ Josef @ karu @ sharma, S/O Late. Jagu ganjhu, PS-Churchu, Distt.-Hazaribag (MCC) -- Sixer-01 -- -- Naxal pamplet and poster. 19 Churchu Ps. Case No. l 1/11, Dated.30.04.11. U/S- 17 C.L.A Act. 1. Ramesh Tudu @ Rahmatwa @ Remand, S/O Lt. Laljee Manjhi. 2. Betka Marandi, S/O Lai Jee Manjhi, Vill- Adlu. Ps- Churchu, Distt.- HZB -- -- -- -- Naxal pamplet and poster. 22 Barkagaon ( Urimari ps), case No- 98/11, Dated.-27.07.11, U/S- 147/148/149/307/427 IPC 17 CLA Act. 1. Sudhir Minz, S/O Mangal Minz @ Kichinkocha Vill-Natiama Tola, PS- Barkagaon. 2. Shyam Sunder Rana @ Sunder Rana, S/O Jiwalal Rana, Vill- Maheshra. 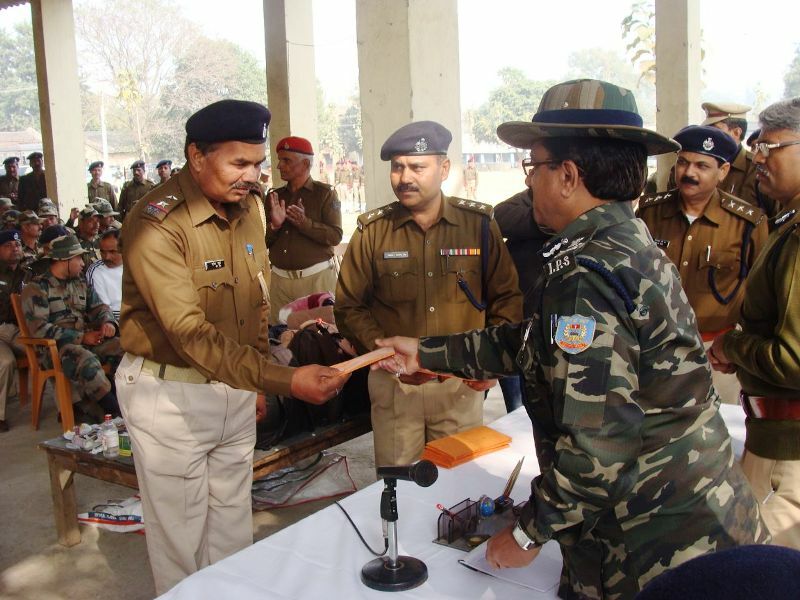 Beginning of police-public ‘’Sahayata Kendra’’ at each police station to assist public in peaceful settlement of disputes and facilitate police in dealing with the crime. 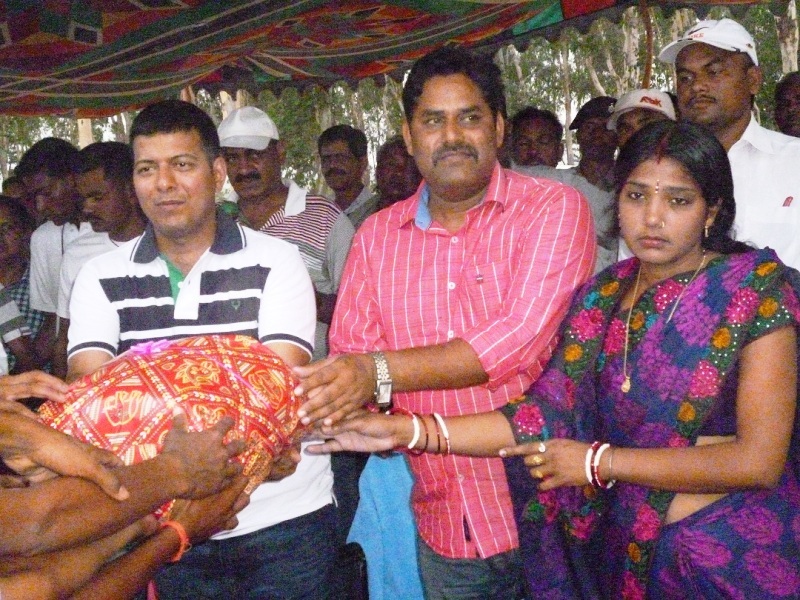 Distribution of Blankets to poor pepole. Training for recruitment in Army and Para-Military Forces.